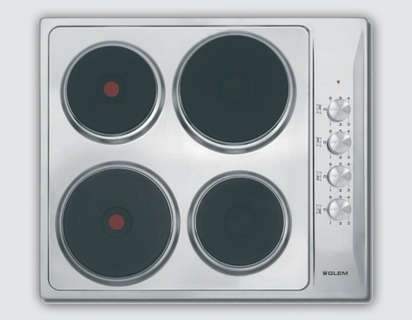 Hob - 4 electric plate with 6 temperature level. 2 Rapid heating in heaters. The brand new Glem Gas comes with Electric 4 burners, Hob Safety, this electric hob would impress you every time you use it. Comes with Rapid heating in heaters, Operation indicator , Easy cook top cleaning with a Frequency of 50-60 Hz, requiring Power of 220 V, to make it more efficient, practical and at the same time easy. This hob will give you nothing but the best results.